November 1, Turkey should pass early parliamentary elections. For the first time in many years, the ruling party Recep Tayyip Erdogan AKP (Party of Justice and Freedom) is not convinced that even in a coalition with other parties, it will be able to stay in power and form a government. The reasons for this are many - the failures across the board: from the domestic and foreign policy, to the degradation of the security situation and the sharp rise in terrorism. Separately standing Kurdish problem. Political complexity caused primarily due to participate in the destabilization of the Syrian conflict and the violation of the peace agreements between the Kurds and the Turkish authorities. This is largely due to the policies of Turkey under the banner of combating ISIS, which is de facto turned into a struggle with the Kurds and Syrians, supporters of Bashar al-Assad. The country is fast becoming a hotbed of terrorism. High-profile attacks have become almost normal in Ankara and Istanbul and other major cities in the south-east of the country. Erdogan clearly losing control of the situation. Turkish president is largely destroys the excessive ambition, stubbornness and hard personal. Once in the Arab world began "color" revolutions and regimes began to fall one by one, Erdogan decided to take advantage of the situation and restore the leadership of Turkey in the Middle East, and almost as a New Ottoman Empire, which Arab states would include the rights of vassals . And without having to achieve this 'project' financial resources, it has attracted for the implementation of this idea, Saudi Arabia and Qatar, who had to pay for the military and political activities of Ankara. An axis is Ankara - Riyadh - Doha, and at various levels, including military and intelligence co-ordination. But it turned out that having a powerful army and a great political clout, Turkey did not have the financial means for the incarnation of their plans. As a result, she became dependent on the political line of Saudi Arabia and Qatar in the Arab world and Iran, to support their action in Libya, Yemen, and most destructive - in Syria, as well as anti-Iranian rhetoric yielding Arabian monarchies. But Erdogan himself is increasingly becoming a political leader of the radical Islamist type. The Ottoman Empire could not: against this made by other large and influential regional countries, including Iran, Iraq, Egypt and Israel. And with Israel, relations with which were previously important for Turkey (with the country even held joint military maneuvers), the tension rose to a state of open hostility. A blatant interference in Syria has led to the fact that the territory of the Turkish Republic poured millions of refugees, which has laid down a serious burden on the national budget. In addition, Ankara has taken part in training and arming militants and Islamist terrorist organizations to fight against Bashar al-Assad, on their territory by creating special training camps on the Saudi and Qatari money. Ankara has repeatedly tried to persuade the United States to enter the no-fly zone over the northern part of the CAP, as well as to create a "humanitarian corridor" on Syrian territory along their borders and to introduce Turkish troops to protect it. But the idea did not pass, at least not yet. Washington understands that Turks need only to establish control over the Kurdish areas of CAP and for the treatment and training of militants, and not to deal with ISIS. But before the "Arab Spring" both countries to make huge profits from the cooperation in many areas of Turkey to implement its concept of neo-Ottomanism, tying Syria on their resources (electricity, hydrocarbons, agricultural products, water) and Damascus turned into a full-fledged commercial and logistics center in the region. The fact that Erdogan at Ankara's chances to join the EU are zero, especially after the summer and autumn of this year, acting in collusion with Saudi Arabia, the Turks launched in Europe, hundreds of thousands of refugees from Syria, Iraq, Afghanistan and Pakistan, and can not speak. With the United States the situation is also not smooth. So neoimperii from Turkey did not happen. Among the economic problems in Turkey should emphasize economic stagnation caused by the fall of the Turkish lira. The rate of inflation was higher than expected, reaching in September 8%. The situation worsened after the parliamentary elections June 7, 2015. For the first time in 13 years AKP Erdogan lost the absolute majority of votes, which certainly had its impact on the economy of the state. Attempts to form a coalition government failed, the interim government was formed, the consequence of which began to be held on November 1 early elections. Second, the extremely negative migration processes, further exacerbate the Middle East situation in general and Turkey in particular. Provision 2 million refugees in Turkey worth $ 8 billion. And in August this year Arab refugees literally flowed into Europe by sea through the Mediterranean. Their route runs through Turkey, and it means that the agreement with Turkey, the EU will be able to contain the influx of Syrian citizens in its territory and the European Union to save billions of euros in their reception and the device, as well as thousands of tons of materials for the construction of anti-immigration fence.But Turkey, following the lead of Saudi Arabia, clearly does not want to negotiate with Brussels, and the flow of refugees is not reduced, although Ankara has received the promise of the European Union to allocate 3 bln. Dollars. For placing migrants in their territory. At the same time, Erdogan "fell into the hands" of Angela Merkel, who caught it on the hook "entry into the EU." Third, a significant role in the country's economic recession has played absolutely no unjustified policy of Erdogan against Russia because of the interrupted agreements on four branches "of the Turkish stream" and fall of Russia's participation in the tourism sector in Turkey. 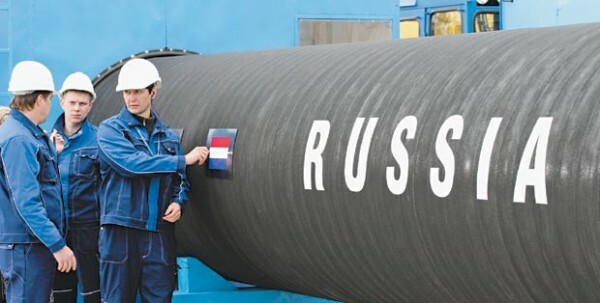 Until recently it seemed that the replacement of the "South Stream", "Turkish" will result in a strategically important Union of Russia - Turkey. What Turkey can become the dominant transit hub in the Middle East to Southern Europe, dreamed Erdogan, is clearly impossible. The Russian side has four branches instead of the planned gas pipeline with a total capacity of 63 billion. Cubic meters of gas a year decided to limit ourselves to one power 15.75 billion. Cubic meters per year. And then there's the statement that Turkey would refuse to buy Russian gas. And all because of the fact that Russian fighter jets for a few seconds while landing at a base near Latakia Hameym accidentally flew into the Turkish airspace. But is this an appropriate response? ("Whose's talking to," Turkey's own aircraft on a daily basis to violate the airspace of Syria and Iraq, causing air strikes on the positions of Syrian Kurds located in these countries, and no one in the West and NATO do not notice it). Currently, Turkey gets gas mainly from three countries: from Russia, Iran and Azerbaijan. About 60% of the natural gas that Turkey consumes comes from Russia. Only one, the figure shows that it is difficult to give up on Russian gas. In addition, natural gas is not only used in the home and boilers, but also to a high degree during electricity generation. For millions of Turkish consumers of natural gas, you can probably replace liquefied, but it is extremely difficult to implement in the case of combined cycle gas turbines that are used to produce electricity. But about half of the consumption of electricity produced by natural gas and at least a quarter - at the expense of Russian gas. Turkey really maximize produces electricity with water and coal, but these funds provide aggregate demand is impossible. That is, to generate electricity, gas consumption is inevitable. With regard to income from Russian tourists, then, experts say, the tourism segment of Turkey's lost half a million Russians in the first half of 2015, and is 25% below last year's figures. The reason is that Russian citizens in a hostile statements of Turkish leaders prefer to Sochi and the Crimea, as well as due to the political instability in the country and the arrival of the real terrorist threats. Overall revenues of the tourist segment in Turkey decreased by nearly 14% compared to last year. In addition, as part of the import substitution policy of Moscow, Ankara has significantly increased its exports of agricultural products to Russia instead of the European suppliers. But Russia is easily replaced with a similar and equally high quality products from Iran, which is quite able to be an alternative to the Turkish vegetables and fruit. But the EU does not need them: their agricultural nowhere to go. Erdogan's policy towards its Kurdish and other ethnic minorities has always been inconsistent. But now it has spread to the neighboring Kurds of Iraq and Syria. It is clear that the main "enemy" of Ankara's own Kurds in the face of the Kurdistan Workers Party (PKK). The leader of the Iraqi Kurdistan Mahmoud Barzani is trying to curtail its activities in northern Iraq. But it is difficult, and the PKK fighters have set up their camps along the border of Iraq and Turkey. Turkish Air Force is applied on them blows suffered by the civilian population often becomes the Iraqi Kurds. In addition, the PKK enjoys the sympathy of both the Iraqi and Syrian Kurds. And in Syria, Turkish aircraft bombed often not ISIS position and Kurdish militias fighting the terrorists. So in both cases, Erdogan acts tough, even more encouraging hatred of the Kurds to him personally and to the whole of Turkey. Moreover, even if unresolved Kurdish issue is brewing problem with other ethnic minorities - the Turkish Cypriots. President of Northern Cyprus Mustavio Akinci said in a recent newspaper Today Zaman, that Cyprus can unite for a few months. Being separated since 1974, representatives of the Cypriot plan to unite Turkish and Greek parts, if the negotiations with the Greek Cypriots will continue at the same pace. Northern Cyprus has already started to work on the transition to the national currency the Turkish lira to the euro. And if Ankara will prevent the process of reunification of Cyprus, the Greece and Cyprus will block any possibility of Turkey joining the EU, until not decide the fate of the ethnically divided country. Before the elections the situation is heating up by the hour. Moreover, all polls show that Erdogan's political strategists strategy does not work - the electorate does not renounce the support of the Kurdish parties, and in any case it is gaining more than 10 percent of the vote, and the AKP itself, on the contrary, even lose up to 5 percent. Turkey's population holds blames riots coincided with the loss of the majority of the AKP, the party itself and personally Recep Tayyip Erdogan. They were in such electoral "swamp" where any movement only pushes more of the voting, non-fanatical adherents of the AKP (and those are not more than half of them voted for the June 7). Last chance, apparently, the authorities see in a completely thoughtless and catastrophic form.Before the elections, the situation in the southeast of the country will be even more aggravated, and perhaps under the blows of the Russian Federation and videoconferencing Syrian army begins a mass exodus of militants-terrorists of all stripes from Syria on Turkish territory, followed by the results in the form of terrorist attacks and riots. We are talking about tens of thousands of armed thugs. The authorities "have to" introduce a state of emergency. Under the strict control of the police and gendarmerie in these areas, from which depends the fate of the Kurdish parties, will be ensured "right" vote. As a result, cash flow will not overcome the 10-percent threshold, and the AKP will get more than 275 votes and Erdogan will continue to implement the one-man rule, and most importantly - no one would dare to continue the investigation of the corruption of his family and entourage. Probably it would in any way change the constitution and introduced a presidential form of government. But then the things of Saddam's newfound situation is quite bad. It is already clear that the Turkish political scientists, led by Erdogan made mistake after mistake, and lead the country to the abyss, trying to make the rapidly developing secular state another Middle Eastern dictatorship since the "cold war", simulating Islamism. But the Turkey do not allow 60 percent of the population officially voted against the party in power, and more than 70 percent in any of the polls opposed the introduction of presidential rule. In economics, the situation is not rosy, it has a very strong influence on the election results. In addition, the Turks - people are politically active, and get them to do something against their will would be incredibly difficult. Incandescent situation can lead to the most disastrous consequences, including large-scale riots across the country and another military coup. In the near future for Turkey is difficult to imagine a positive scenario that would somehow coincided with the mood of the current authorities, who frankly inadequate. And in a short time to restore the normal climate in the country will probably have other political figures. Either Erdogan must make decisions that he just is not ready. First of all, he needs to reconsider its position on the Syrian issue and forget about double standards. If this is the fight against terrorism, then it is a struggle to ISIS. The more force will be involved in the anti-terrorist operation in Syria, the sooner you can eliminate ISIS, and therefore the less migrants flee to Turkey, which will facilitate the economic situation. Next - coming out of the anti-Syrian coalition with KSA and Qatar, Turkey will be able to resume negotiations with Russia on the four branches of the pipeline, two branches in Asia Minor and achieve its goal - to become the Middle East hub. This is certainly a positive impact on the economic situation in the region. Otherwise, Turkey will lose a strategic partner. And, of course, Ankara must decide questions of ethnic minorities. But now Turkey is not ready to grant autonomy to the Kurds nor the return of Northern Cyprus Cypriots. According to the Kurdish question in Turkey is important to understand that the fight against ISIS - is not a fight against the PKK (Kurdistan Workers Party). Peace talks with the Kurds politically possible only if an equal footing, while preserving the seats in parliament and participate in the political life of the Kurds in Turkey.